Welcome to Episode #24 of the Living Homegrown Podcast! This episode is all about making flavored vinegars. 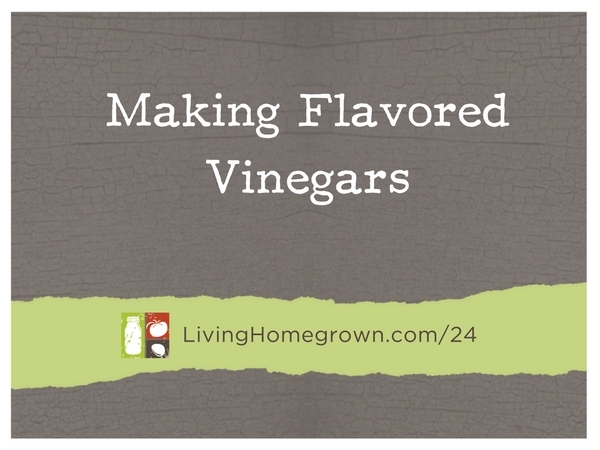 Have you made flavored vinegar before? Theresa, I was very glad you had this podcast in transcript form. This is great information to keep! Thank you for the inspiration and information! You are welcome! Thanks for telling me.